Over a year before the wife of the president, Aisha Buhari, publicly criticised the management of the State House Medical Centre, SMHC, for not having basic facilities, the head of the hospital had written her husband, President Muhammadu Buhari, complaining about the poor funding of the hospital, a correspondence seen by PREMIUM TIMES show. In a letter written to Mr. Buhari’s chief of staff, Abba Kyari, on October 3, the chief medical director, Hussain Munir, made reference to the letter he wrote Mr. Buhari on August 22, 2016 as well as two other ones he wrote to other officials in 2015 and 2016 including Mr. Kyari. According to the October 3 letter, all those correspondence centred on the inadequate funding of the hospital including non-provision of funds for basic necessities such as drugs. Mr. Munir indicated that out of N290.4 million approved for the purchase of drugs and consumables for the SHMC in 2017, only N29 million has been spent with no amount spent on capital projects. Mr. Munir, who was responding to a recent report by Daily Trust Newspaper on how state house clinic patients groan over drug scarcity, said the hospital has been facing challenges of drugs availability since 2016. The director also said out of the N3.8 billion approved for the clinic in 2016, only N25 million was spent on drugs that year, a lesser amount compared to the N73 million and N63 million expended on same item in 2015 and 2014 respectively. It is not clear if the amounts spent on drugs, referenced by Mr. Munir, is the total released for that purpose by the administrations in those years. However, the presidency on Sunday admitted the hospital was underfunded saying it received N1.2 billion (N1, 195,257, 021) between 2015 and 2017, as expenditure. Mr. Arabi emphasised that the figures are verifiable from the Ministries of Finance, Budget and National Planning. In her October 9 public complaint, Mrs. Buhari criticised the poor state of the clinic and asked that it should be probed. She lamented that she wanted to do an x-ray at the clinic a few weeks ago but was told the machine was not functional. In his October 3 letter, however, Mr. Munir said the X-ray machine has not been functioning for over nine months. In the October 3 letter, Mr. Munir said the attention of the state house had been drawn to the challenges of the clinic on numerous occasions without any response. The SHMC director said he wrote complaint letters on several occasions, to outline the condition of the hospital. 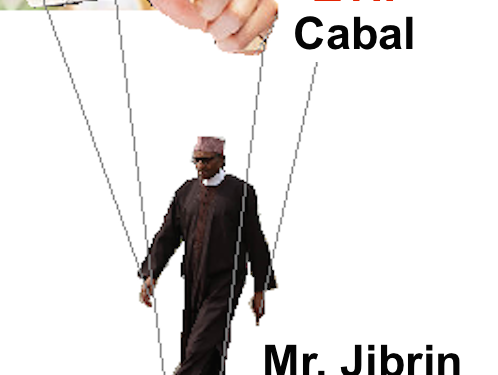 He said letters were written on November 13, 2015 to Mr. Kyari; on April 18, 2016, to Mr. Arabi and on August 22, 2016 to President Muhammadu Buhari all to no avail. To resolve the funding challenge, the presidency has indicated it would commercialise the operations of the clinic. The SHMC offers largely free medical services to patients in the presidential villa including top civil servants and members of security agencies. Drugs and consumables are purchased on a quarterly basis at the clinic. However, no drugs and consumables were purchased in the first and second quarters of 2017, according to Mr. Munir’s letter. “This is why ‘STOP GAP procurement method’ (emergency purchase) was used to purchase N14,786,736 of drugs and N15,000,00 of consumables,” he explained. Efforts made by this paper to contact the state house were unsuccessful. A mail seeking clarification sent to Deputy Director, Information in the State House, Attah Eseh, on Wednesday morning was not responded to as at the time of filing report. Calls and texts made and sent to both presidential media aides, Garba Shehu and Femi Adesina, were also not responded to. Following the nationwide complaints on the status of the hospital, the House of Representatives has asked an ad-hoc committee to investigate the condition there as well as alleged irregular deductions from the salaries and allowances of the staff.